Norwegian Joy’s First Class at Sea experiences include a multitude of VIP accommodation choices; a technology-driven interactive Galaxy Pavilion; international luxury shopping boutiques and serene open space at the top of the ship for relaxation and renewal. Wiesbaden, March 31, 2016 – Norwegian Cruise Line 诺唯真 (NCL) today revealed features and amenities for Norwegian Joy 喜悦号(Xǐ Yuè Hào), its most innovative and luxurious ship ever, built and styled exclusively for Chinese guests, arriving Summer 2017. Homeporting in Shanghai & Tianjin (Beijing), Norwegian Joy was designed by the team at NCL to provide First Class at Sea experiences specifically for the Chinese traveller, with on-board amenities that cater to the unique holiday desires of Chinese guests. Built at Meyer Werft in Papenburg, Germany, the ship features German precision engineering to the highest possible standard, all while offering superior customization for the culture and preferences of Chinese guests along with the exciting and innovative features found on NCL’s most recent vessels. With a capacity of 3.900 guests, Norwegian Joy will deliver on the promise that guests will enjoy ‘First Class at Sea’ experiences, starting with her VIP accommodation choices. As the World’s Leading Large Ship Cruise Line, an honour bestowed upon the company by the World Travel Awards, Norwegian Cruise Line is known in the industry for offering innovative, stylish and first class accommodation. Norwegian Joy will feature The Haven by Norwegian®, the line’s exclusive, ship-within-a-ship suite luxury complex. Accessible only by personalized keycard, The Haven offers a private respite for the most discerning travellers that features personal butler service, a dedicated concierge, priority access to entertainment and speciality dining, a private restaurant, enclosed courtyard and 74 spacious and meticulously decorated suites. 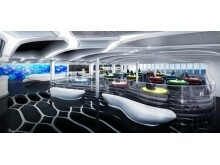 The ultra-exclusive experience in The Haven on Norwegian Joy will also include an all-new Observation Deck that will feature 180 degree views, the same as the ship’s officers experience from the Bridge, with gourmet canapés and premium beverages. 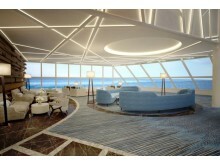 Norwegian Joy will also debut an all new accommodation category: the first at sea Concierge level 行政楼层. Guests who stay in the Concierge stateroomsaboard Norwegian Joy will enjoy a VIP experience, featuring larger balcony staterooms with luxurious en-suite amenities and the services of a dedicated concierge to make arrangements on board, from entertainment to dining. A perfect category for families and guests looking for extra personal service, the Concierge staterooms will also offer guests an exclusive Concierge lounge, with a private bar and refreshments available throughout the day. The ship also features a wide array of Mini Suites, Balcony, Oceanview and Inside Staterooms, many with virtual balconies, to fit every traveller’s need. Accommodation offerings also include staterooms designed specifically for families and a multitude of connecting staterooms, for extended families travelling together. Norwegian Joy will continue NCL’s long history of innovation in providing engaging, exciting features and amenities for guests to enjoy. Sure to delight guests of all ages, the ship’s top decks will offer a wide range of never-before-seen at sea experiences. At the very top of the ship, guests will take the ride of a lifetime on a thrilling two-level competitive racetrack – the first ever at sea. Cruisers can race family and friends and even share a photo of their first place finish. Afterwards, they can challenge one another to a game of laser tag in the open-air course, sure to be a hit with both kids and kids-at-heart. When guests step inside Norwegian Joy’s Galaxy Pavilion, they will find themselves in a world unlike anything they’ve ever seen at sea, complete with immersive virtual reality experiences, thrilling simulator rides and interactive video walls. Guests can go for a spin with friends or family on exciting hover craft bumper cars or start their engines in a professional single-seat race car that’s been converted into a state-of-the-art racing simulator. Three interactive dark ride simulators provide guests with a captivating experience featuring real-time 3D graphics, 360-degree surround sound and multi-sensory special effects, while flight and car simulators will let guests take flight or take to the road for an adrenaline-filled experience. Movie buffs will be transported to a galaxy far, far away and into an intense battle as they pilot a fighter to take on the forces of the dark side in a Star Wars® battle pods video game, and gamers can partake in a contest of skill at six Xbox® console stations. Those guests who enjoy advanced technology will be exhilarated by state-of-the-art virtual optic experiences by Oculus that include designing and then riding a personal roller coaster; soaring to new heights over mountains and oceans; or living on the edge and walking along a cliff or on top of a ten-storey building. Continuing the adrenaline pumping recreation activities on the ship, Norwegian Joy will also feature two multi-storey waterslides. Not for the faint of heart, the high-speed Double Aqua Loop free fall slide includes two exhilarating loops, one that extends out over the side of the ship and second see-through loop that stretches down to the deck below, sure to offer a wet and wild ride. The tandem Aqua Racer slide allows guests to race side-by-side on inner tubes for about 110 metres as they twist and turn to the finish line. 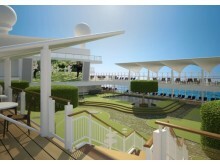 The top deck of Norwegian Joy will also feature a tranquil open space park, where guests can enjoy a partially covered serene setting designed for relaxation. Offering greenery, a soothing pool and chaise lounges, it’s the perfect spot to meditate in the fresh air, gaze out to the open sea or practice tai chi and yoga. No holiday experience is complete without shopping, and Norwegian Joy will not disappoint. The ship will feature an upscale shopping venue, the largest in Norwegian’s fleet, complete with everything from exceptional duty-free shops to high-end international brands. The shops will offer renowned global luxury brands, in fashion, jewellery and electronics. Of course, Norwegian Joy will also offer bow to stern Wi-Fi connectivity, the fastest in the Norwegian fleet, so that guests can share their exciting First Class at Sea cruise experiences and stay in touch with family and friends during their cruise. Norwegian Joy fuses a western cruise holiday with the comforts and preferences that Chinese guests expect, plus the freedom and flexibility that only Norwegian Cruise Line can offer, for a fabulous combination of culture and cuisine and a true east meets west experience. 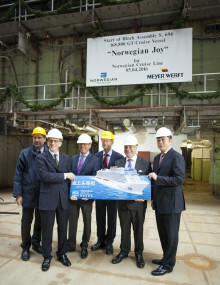 For more information on Norwegian Joy, please contact an authorized Norwegian travel partner or visit www.goncl.cn. To view a video of Norwegian Joy’s First Class at Sea experiences, please click here. Norwegian Cruise Line is an internationally operating cruise line headquartered in Miami, Florida with three offices in Wiesbaden, Malta and Southampton overseeing operations in Europe. Norwegian Cruise Line is the innovator in cruise travel with a 49-year history of breaking the boundaries of traditional cruising. Most notably, Norwegian revolutionized the cruise industry by offering guests the freedom and flexibility to design their ideal cruise holiday on their schedule. Today, Norwegian invites guests to “Feel Free” to explore the world on one of 14 purpose-built ships, providing guests the opportunity to enjoy a relaxed, resort style cruise holiday on some of the newest and most contemporary ships at sea. 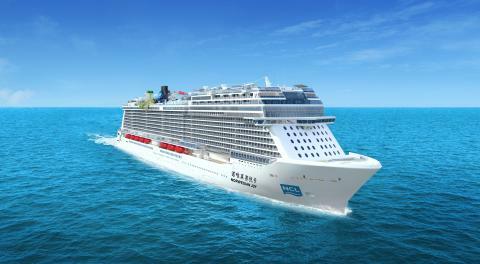 The Company recently took delivery of its most innovative ship to date, the 4.200-passenger Norwegian Escape in October 2015 and has three further 4.200-passenger vessels on order at Meyer Werft with delivery in the spring of 2017, 2018 and autumn of 2019. 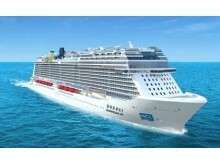 Prior to publication, it must be approved by Norwegian Cruise Line .